Start with Lane's Wash & Shine, the finest, most concentrated soap wax available today. This unique soap wax removes dirt and grime, without leaving those annoying streaks. 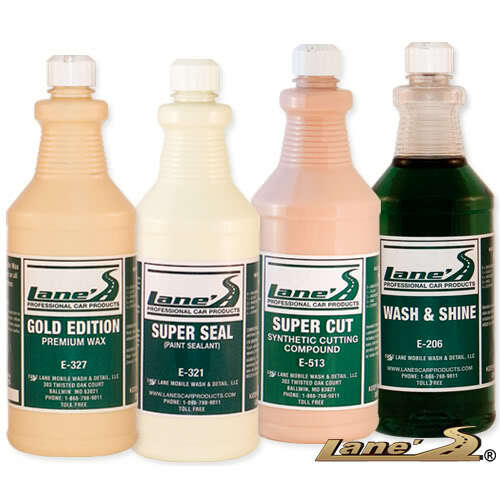 It is a self-drying wash that lays the foundation for the next step...Lane's Super Cut. Super Cut is the first layer wax protection, which sinks into any scratches or pock marks to ensure a smooth finishing coat.